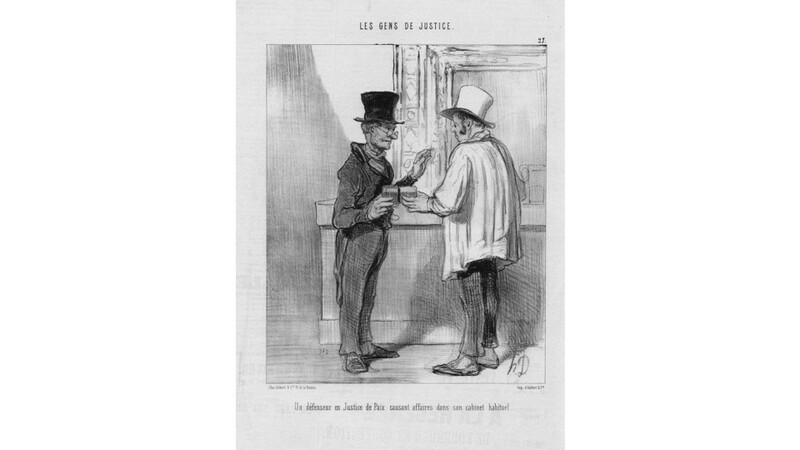 The French text below the image translates to : A defence lawyer at the Court of Arbitration discussing business at his usual office premises. Text on the reverse as issued. 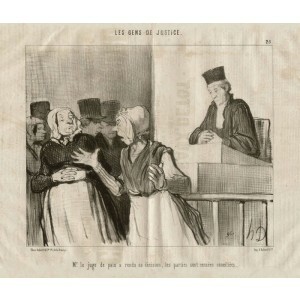 Original lithograph by Honore Daumier published in Paris in 1846. 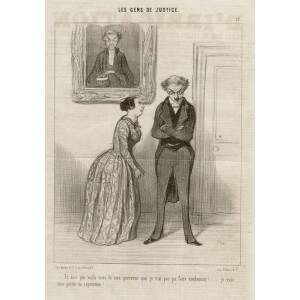 Initialled 'HD' in the image. 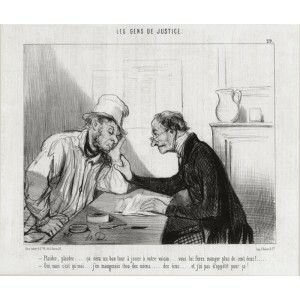 From his series on French lawyers titled Les Gens De Justice. 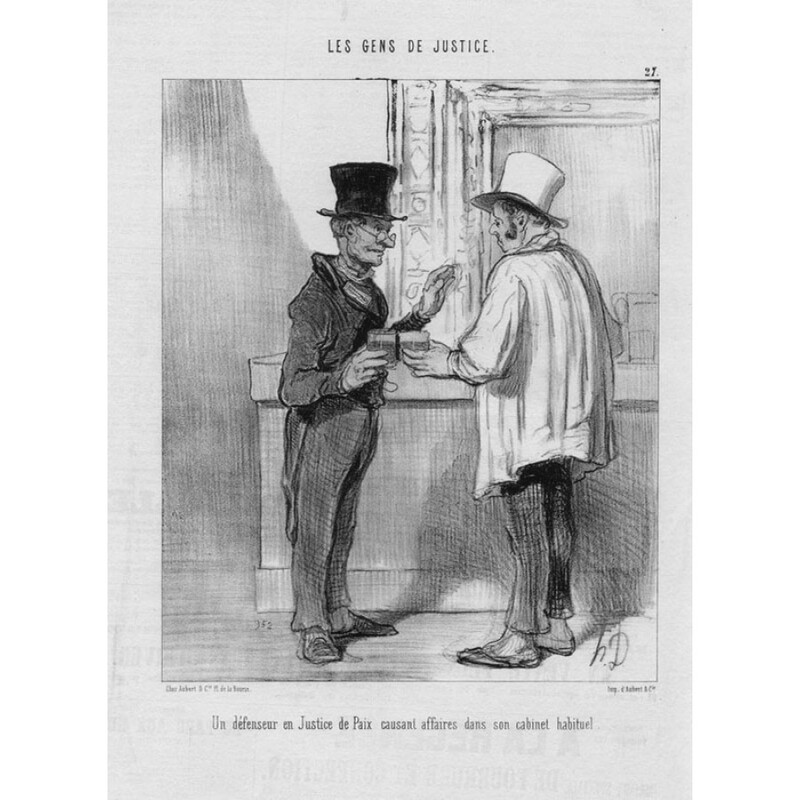 Honore Daumier (1808-1879), was a French printmaker, caricaturist, painter, and sculptor, whose many works offer commentary on social and political life in France in the 19th century. 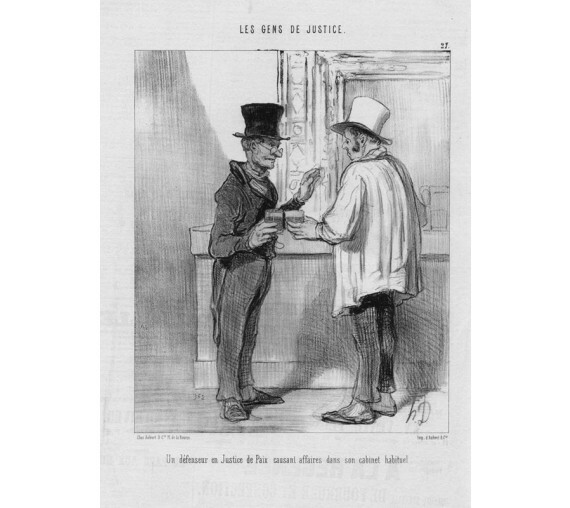 A prolific and reknown draftsman who produced over 4000 lithographs, he was perhaps best known for his caricatures of political figures and satires on the behaviour of his countrymen.